You can get better with age by following our 5 easy tips. What do you, a fine wine and George Clooney all have in common? These are all things that get better with age! While many of us loathe blowing out birthday candles each year, it’s time to change that way of thinking and embrace your age. 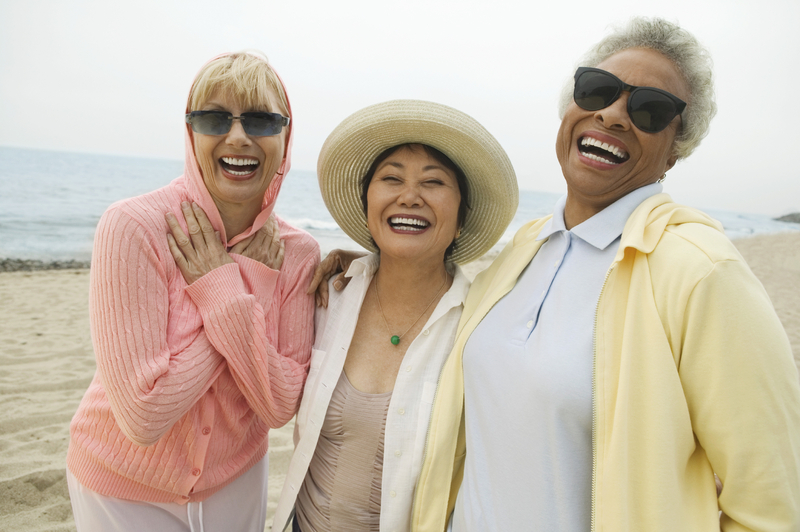 Start with these 5 simple ways to age gracefully and have fun while doing it. 1. Kick up your cardio. Exercise at least 30 minutes a day, 4-5 times a week. Moderate exercise can include a fast walk, household chores, playing with your kids outside or even taking the stairs at work. If you make an effort to staying active now, you’ll help keep your body feeling and looking great for years to come. 2. Brush up on oral health (literally). To keep your mouthful of natural teeth in your golden years, you need to make the right moves now. You know you should brush your teeth at least twice a day and floss at least once, but it’s also important to see your dentist on a regular basis. A dental visit involves a comprehensive checkup that extends beyond your teeth. Dentists can screen for oral cancer, diabetes and more. We all know it’s fun to hang out with our friends, but people who grow their social networks as they age have higher IQs and lower rates of dementia. Win-win! 4. Eat well and prosper. Maintaining a healthy diet doesn’t have to be hard. For starters, follow the new “food plate” recommended by the USDA. The food plate will help you understand which foods are better for you and which foods you should enjoy in moderation. In addition to improving happiness, smiling may even prolong your life. A 2010 study of professional baseball players, conducted by researchers at Wayne State University, showed those who smiled genuinely in their 1952 Baseball Register pictures lived an average of 5 years longer than players who didn’t smile. This study provides some evidence that smiling is linked to people living longer.